Political parties and officials have been calling on President Jacob Zuma to resign and have even threatened to oust the President. If he resigns though, he will still live a comfortable life and enjoy several benefits. According to various reports Zuma will reportedly be paid his annual salary of R2 989 845 after stepping down for the rest of his life. In addition to this hefty salary, he will also enjoy a security team and an official vehicle. He will be given an office, secretary and be entitled to free domestic flights on the national airline. These benefits have likewise been enjoyed by former presidents, FW de Klerk and Thabo Mbeki. The entitlements that these former presidents are granted is outlined in the Presidential Handbook. - Personal security that will protect him, his entire family and immediate family. - A home which the state will either contribute towards partially or fully, dependent on Zuma's safety requirements. - Health insurance and special treatment at military hospitals . - An official salary of R2.87 million which was approved in 2016. An increase in this salary is subject to government gazettes. - An indirect line to government. This will permit the former president to apply his services at diplomatic functions which is ultimately at the discretion of the incumbent president. However, whilst still occupying office, Zuma and his family benefit from family medical cover. Zuma and his family receive healthcare services which are billed to the surgeon-general through the South African Military and Health Services (SAMHS) of the South African National Defence Force (SANDF). Zuma’s vehicle and maintaining costs are also borne by the South African Police Service (SAPS). Meanwhile, air transport costs are for the account of the SANDF using state-owned or privately chartered aircraft. When using an aircraft, the Presidency however has to foot the bill of catering costs. 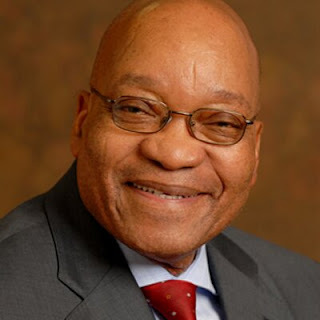 Zuma further has to liberty to occupy official residences in Cape Town, Pretoria and Durban. All furnishing, maintenance and even the provision of flowers is billed by the Department of Public Works. However, household staff are employed by the Presidency which also pays for special advisers “as needed”. The first lady also bears benefits, such as being entitled to services of a private secretary‚ a state-owned vehicle and driver or protector. These costs are borne by SAPS. The spouse of the president enjoys “reasonable support” with day-today arrangements of dependent school-going children". The pensions for retired presidents were previously calculated on 75% of their annual salary. However, since April 2008, this was amended to 100% of a president’s annual salary. According to former president FW de Klerk’s spokesperson‚ Dave Steward‚ a former president is entitled to receive an official vehicle for life. The former president could also be awarded an armoured vehicle, depending on the security assessment done around the former head of the state. "They also have security for life, which is determined by the security assessment done by the relevant police unit and receive free flights on South African Airways inside SA‚" said Steward. than what Zuma will be receiving.